Several years ago I started snapping pictures of various objects with unique, interesting looking textures and patterns which I would place in an appropriately named "Textures" folder on my hard drive. The purpose of this folder was to have a personal collection of images I could pull from whenever I wanted to create an image with an overlay. And while I don't utilize the images in my textures collection very often, I'm really glad that I have texture/overlay options available whenever an image looks like it would benefit from an additional layer of interest. Below are just some of the images in my Textures folder. Looking at the file names, they were all likely captured on the same outing with the camera. 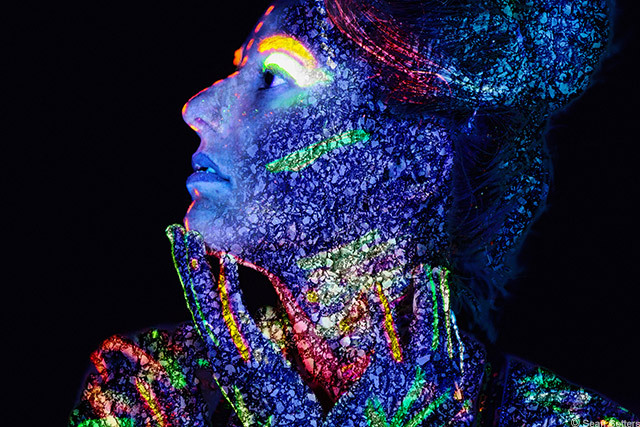 There are lots of everyday items that can provide an interesting texture for an image overlay. As evidenced by the screenshot above, wood, tree bark, gravel, tiles, fences, concrete/pebbled sidewalks, brick walls and mud/dirt are just a few of the options that are likely only a short walk away from your front door. If it's a rainy day, you might consider photographing all the interesting textures and patterns that are right inside your home. Old/crinkled paper, patterned fabrics and wallpaper are just a few of the indoor options I can think of. So which awesome image did I use to create the texture in the image above? That would be this one. From a photographic point of view, the image above is as lackluster as a photo can be. 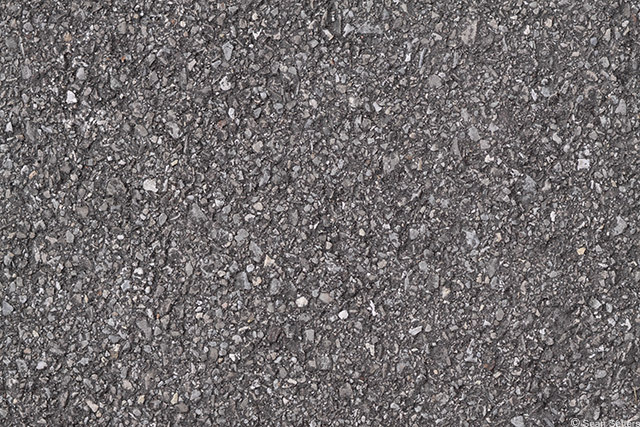 It's a snapshot, and the subject (old pavement) is quite boring on its own. But when you adjust its levels/contrast in Photoshop, the difference between the light and dark areas is accentuated and the pattern becomes much more interesting. Changed texture layer blend mode from "Normal" to "Linear Burn." Added a Curves adjustment layer to the texture layer (using ALT+dragging the adjustment layer over portrait layer to create a clipping mask so that the adjustment layer only affects the texture layer). Adjusted the texture layer's blending properties (by double clicking on layer) so that it would not appear in the darkest areas of the underlying portrait layer. By ALT+left clicking the "Blend If - Underlying Layer" slider adjustment, I feathered the blend. Added a mask to the texture layer and lessened its visibility over parts of the face using a black brush at various opacities. To see a larger resolution sample of the image, click on the picture atop this post. 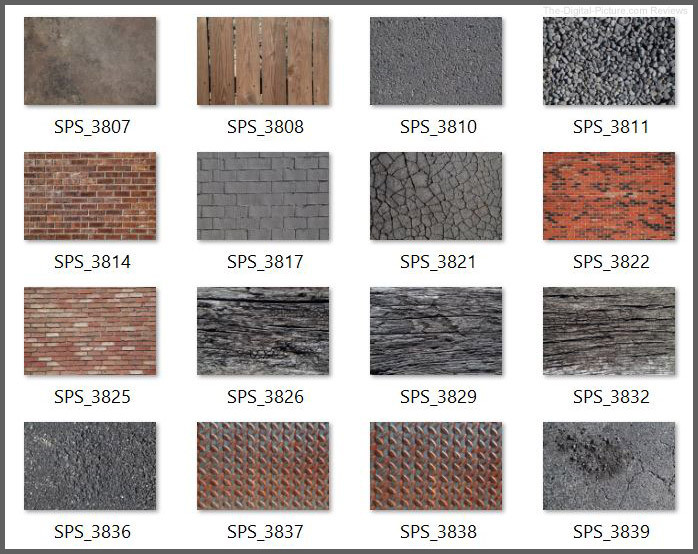 Do you already have a textures collection? If so, what items have you saved in it that I didn't mention above? In one of the best marketing videos I've seen from the company, DJI urges its viewers to "step outside" to embrace the adventures that await us all outside the walls of our familiar dwellings. This film is beautifully shot and the voice over dialogue is excellent. Canon's current camera and lens rebates are set to expire this weekend, February 2, 2019. 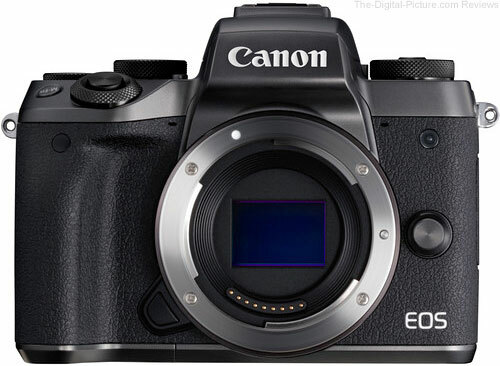 Canon may decide to extend some (or all) of its rebates, but of course, that may not be the case. And even if they do extend rebates, there's no guarantee that the new rebates will remain as high as the ones listed below. If an item you've had your eye on is eligible for a sizable rebate, it's a good idea to acquire that itemwhile that rebate is definitely still in place. 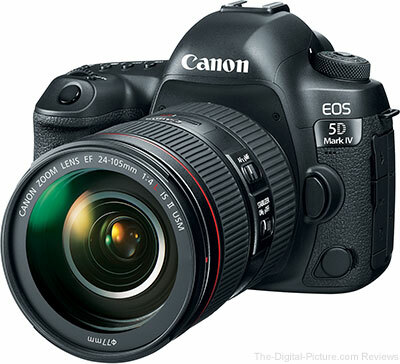 The Canon EOS 5D Mark IV and EOS 6D Mark II still qualify for a very nice $500.00 instant rebate, but that may not be the case (at least, a rebate of that magnitude) once Feb. 3 rolls around. 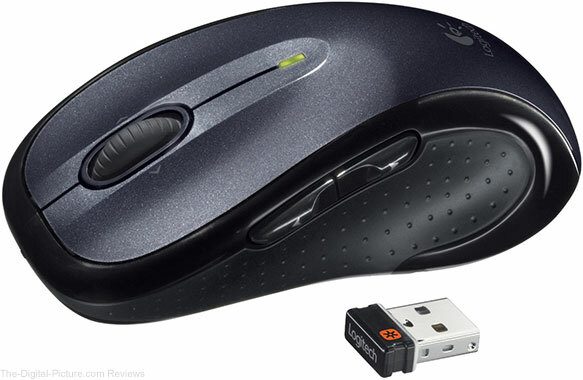 Amazon is featuring Logitech Keyboards, Mice and Headsets as a Gold Box Deal of the Day. Also discounted – Logitech Z906 5.1 Surround Sound Speaker System and the Logitech C922x Pro Stream Webcam. 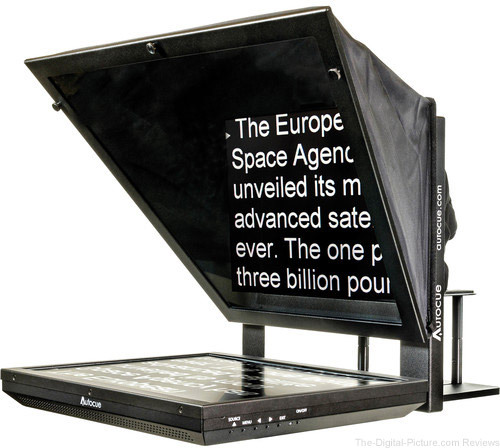 Through midnight tonight Eastern Time, B&H has the Autocue/QTV 12" Ultra Lite Teleprompter Kit available for $599.00 with free shipping. Regularly $949.00. Today Aaron shows you some basic tools that will help skin look its very best. Learn to remove fine lines and hairs with the Spot Healing Brush Tool, recover skin texture with the Clone Stamp Tool, and get smooth, natural skin tones with Curves. For those interested in learning more about the Nikon Storytellers Scholarship, please visit www.NikonStorytellersScholarship.com. 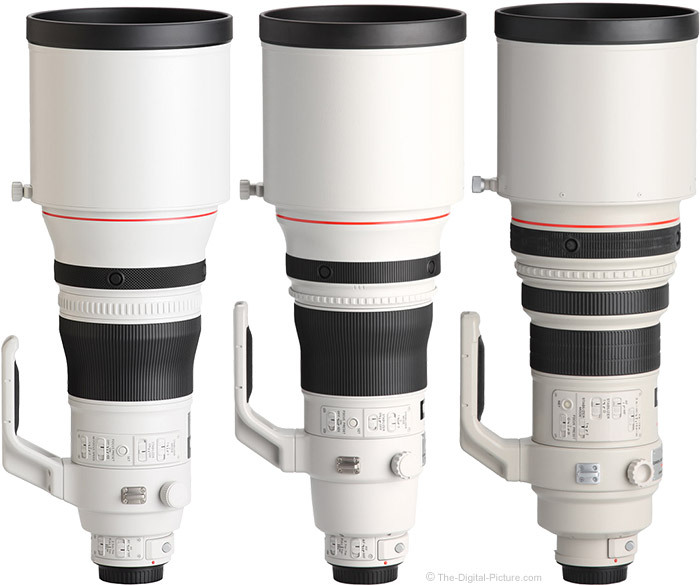 Upon loading the product images for the Canon EF 400mm f/2.8L IS III USM Lens, the first side-by-side comparison I wanted to see was of the three 400mm f/2.8 IS versions. I figured you might also want to see them. 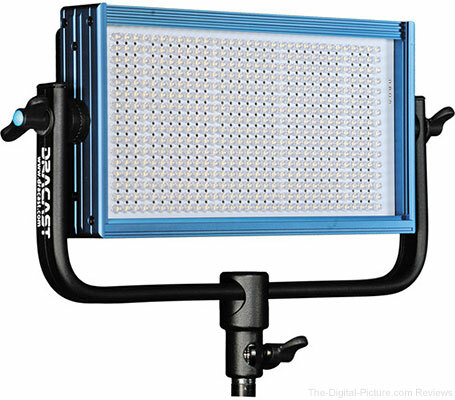 B&H customers have given these LED lights very positive reviews. 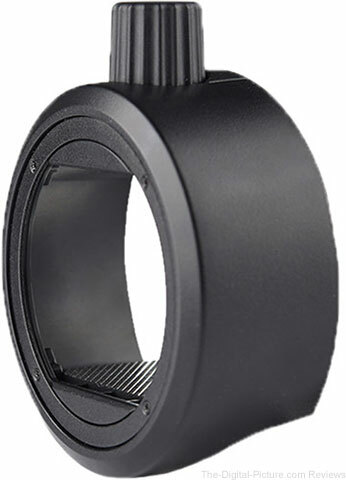 At the time of this deal, 93 out of 97 reviewers rated these lights 4 or 5 stars (out of 5). B&H carries the Tamron 28-75mm F/2.8 Di III RXD. In the video above, photographer David Bergman announces that he is ending his long-running Adorama YouTube series "Two Minute Tips" to work on a new series, "Ask David Bergman," on Adorama's Instagram TV channel. If you'd like for David to answer a photography question on an upcoming episode of the new show, you can submit your question here.